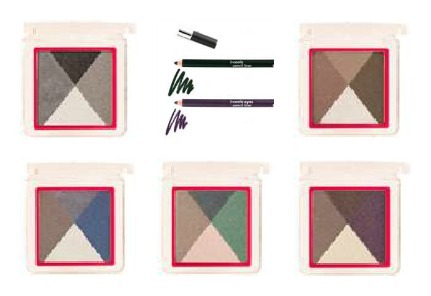 JK Jemma Kidd for Target just launched their fall collection of colors including two new I-Conic Liners and five new I-Design Mineral Quads (shown below). i love this makeup collaboration between Jemma Kidd and Target because the color selections fit well with the season trends and the makeup quality is great. neutrals and earth-tones are the trend for Fall 2012 and those are what you will find in the newest line-up of I-Design Quads. i put together this eye tutorial because there is something to be said about black liner with a neutral lid. it is a classic look that is always glam. apply vanilla shade to entire eyelid. 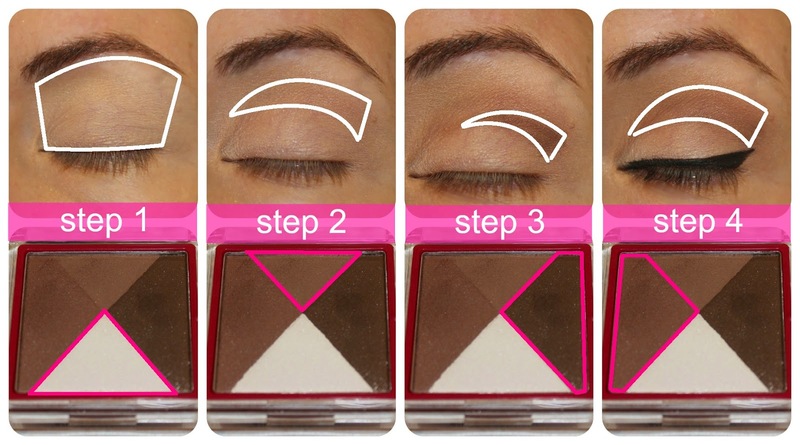 follow with the lightest of the three colors to contour the crease of your eyelid. using a pencil brush, apply the darkest brown directly where you would like the most color. with a fluffy brush and the medium brown shade, blend in the shadow.